It overflows with energy, makes its claws constantly, bites you without stopping ... What to do? 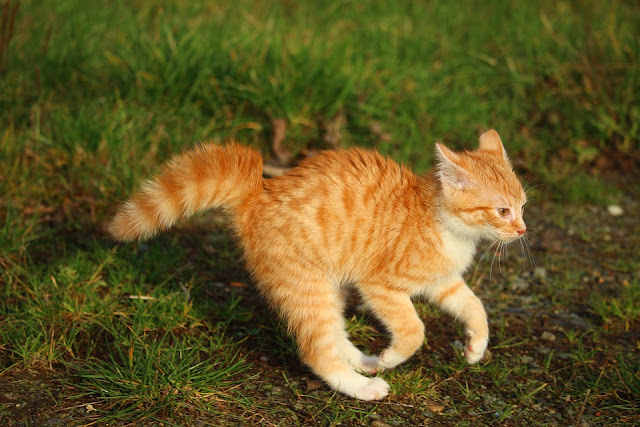 If your kitten is hyperactive, it shows up in the first few weeks. We make the point to help you better understand your cat! A hyperactive kitten is constantly on alert. It reacts to the smallest stimuli, mews horribly, and does not know how to settle down. He has a tendency to put everything in his mouth, even staff that doesn’t look any close to food. As in the hyperactive human, he is not able to concentrate, moves constantly from one activity to another. When you start playing him, his conduct knows no limits. He climbs everywhere ... on your furniture, on your curtains and even on you. He does not appreciate the constraint, especially being caught by the skin of his neck; he claws and bites to free himself. His relationships with other cats are conflicting. It is recalcitrant to any form of learning. If you recognize your cat in this portrait, you must act right away. First of all, it is necessary to know that everything is handled in the first weeks. The mother has a leading role. It is the mother that confirm the kitten’s act and / or puts it back on the right path. Within this contact, the kitten learns to break down its bite, to retract its claws, to master its impulsiveness. If the mother is overwhelmed (Example: a too large range), this teaching is will be lacking in. The kitten may have serious deficiencies and hyperactive behavior. It is necessary to play the mother’s role and to take your time to go through the kitten’s long process of rehabilitation. 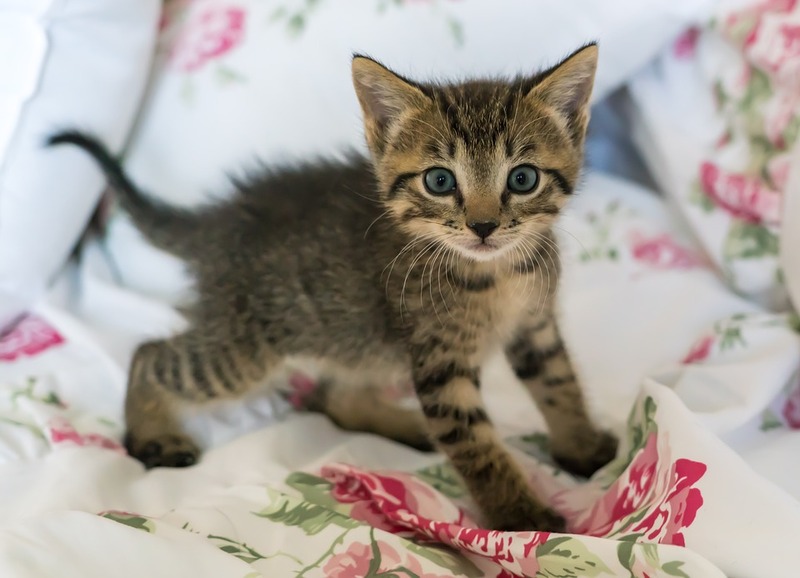 To minimize the risk of having to bear a hyperactive kitten, make sure that it is raised up to 8 weeks with its brothers and sisters by a calm and healthy mother. Check that it is carried without flinching when it is caught by the skin of the neck (as its mother did). What if my kitten is hyperactive ? Do not expect your hyperactive kitten to calm down as it grows up. Do not hesitate to consult a vet who can set up a treatment. If the treatment works well in the kitten, after the age of puberty, the treatment oscillates between 6 and 12 months and the cure is never complete. Be that as it may, be a good coach. Avoid playing with your kitten with bare hands, better games to be handled remotely (ball). If your kitten goes in all directions, do not encourage it and stop the activity. This also applies if you were nibbled or clawed. Take your time and wait until he calms down, then start playing again. Be strict, the small slap on the nose can only be used in a very young kitten (6 to 10 weeks); Beyond this age, it may be like an attack and you risk aggravating the situation. Loving one's cat doesn’t mean to accept everything, it is also to know how to set limits to enable him to live in harmony with his surroundings. We think the relationship between man and cat is just magic! Our ultimate objective is to improve the comfort and well-being of our companions! That is why we must take care of them as they take care of us!